Blank playing cards bring a whole new concept to playing cards brought to you by PrinterStudio.com. If you're wondering what they can be used for, then the answer is endless. 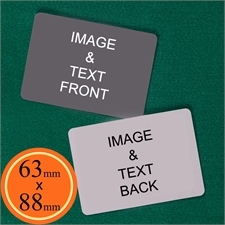 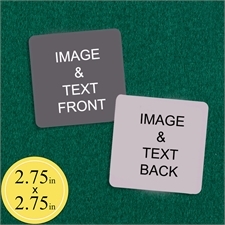 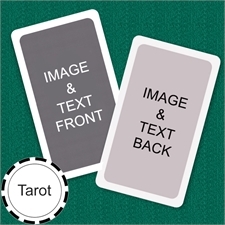 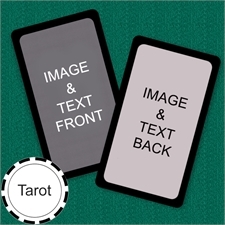 The main purpose of blank playing cards are for you to use them in anyway way you want such as for creating flashcards in school or in the house with your kids. They are also widely used at parties for playing unconventional games created by anyone where players draw can on the card for play. 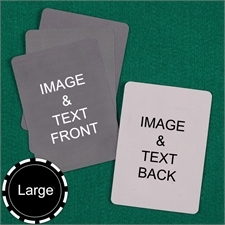 You could also buy blank playing cards to play games such as truth or dare where you make up the questions and each person in turn picks up a card and has to do what it says. 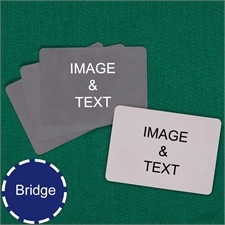 The possibilities are endless so get your thinking cap for your next party or gathering with your friends and family and create a fun game with blank playing cards. 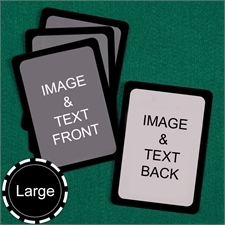 If you have a game in mind and you prefer them to be ready-made and want us to print them for you, then we definitely do that too. 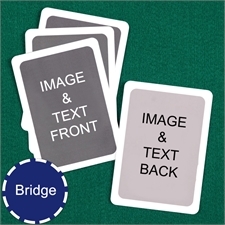 Add your designs onto the blank playing cards and we'll print them professionally for you at no extra cost. 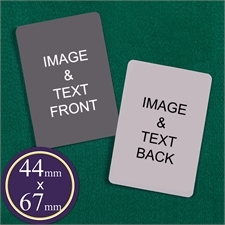 If you want to have the standard numbers put back onto the cards (ace to king), then we have loads of them as well. 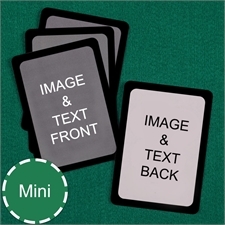 Check out our custom playing cards back and also front and back for your own personalized deck of cards used for playing conventional card games. 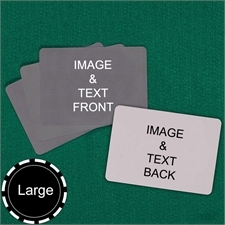 PrinterStudio sells nothing less than high quality so you can be sure your card deck is what you would expect them to be. 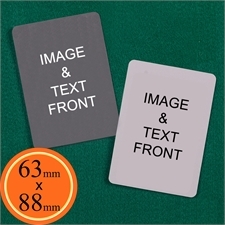 There are 54 cards in a deck measuring 2.5" x 3.5" (63.5mm x 89mm) made from 100% casino quality paper stock. 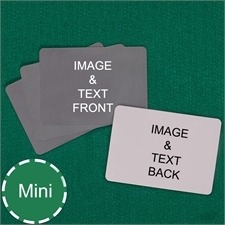 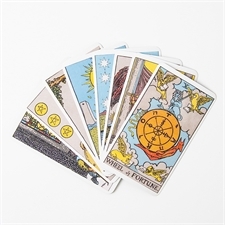 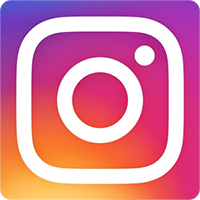 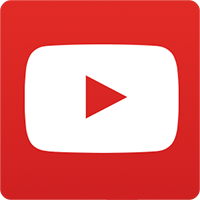 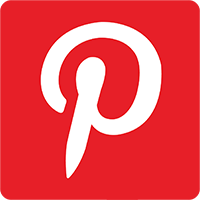 Cards are fully bendable from end to end without creasing and are created with a thin black layer in the middle so cards are not see-through. 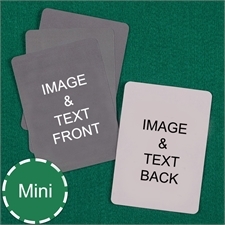 Cards are blank on both sides which you can personalize here online or just buy them blank to draw and write on them at home. 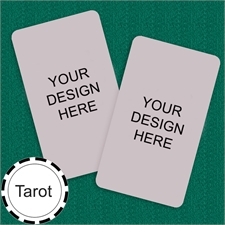 Whatever way you choose, we'll do it here at PrinterStudio.com.